Looking for Electrical Motor Control Panels? Get a quote fast. What you need to know about electrical motor control panels. Available in both automatic and manual varieties, electrical motor control panels are used across many industrial, commercial and agricultural applications. Electrical motor control panels are designed house motor controls, drives, relays, switches and transformers to operate motor equipment. They can be used in both low and medium voltage applications and can be customized for a wide range of motor controls and starters. Used across industrial and commercial applications among others, electrical motor control panels are a great, cost-efficient automation solution that not only save time and money, but space as well. What electrical motor control panel design is right for me? Any electrical system that relies on equipment automation can benefit from an electrical motor control panel. Electrical motor control panels are able to control a single motor, or control several motors that share similar functionality, that is to say, a group of motors that work together. While mostly used as industrial control panels, electrical motor control panels can be used in a variety of applications. Control panel designs are nearly endless, so you can choose from our pre-made configurations, or you can count on Bay Power’s UL508a-certified shop to custom-build your electrical motor control panel. You don’t cut corners when it comes to your control panels, and neither do we. 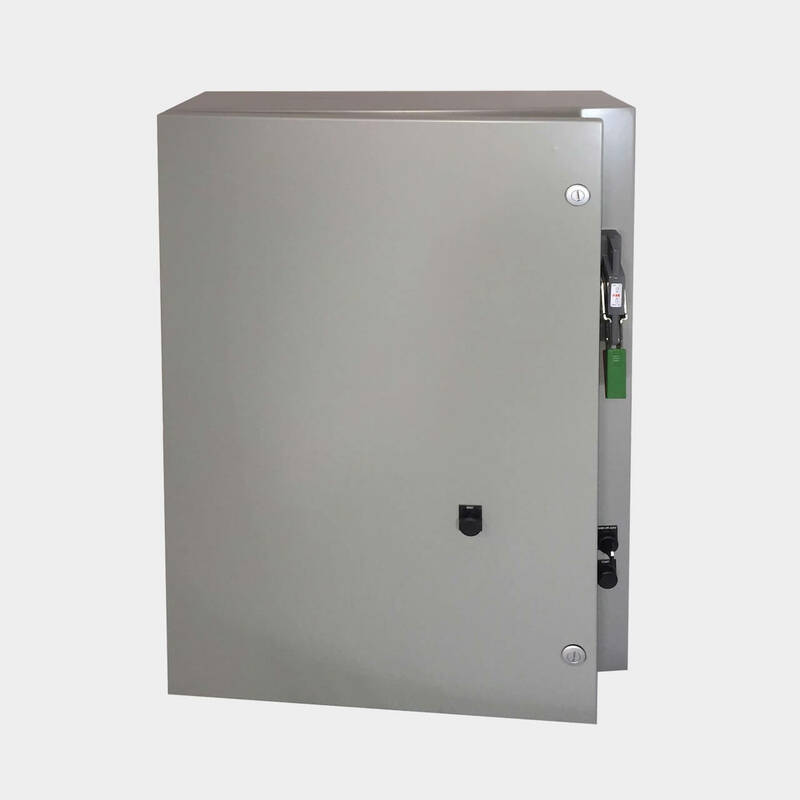 You can count on Bay Power to deliver the electrical motor control panel that you need with the quality, durability, and speed that you deserve. Give us a call and we’ll use our extensive supplier network to get you the electrical motor control panel you need. 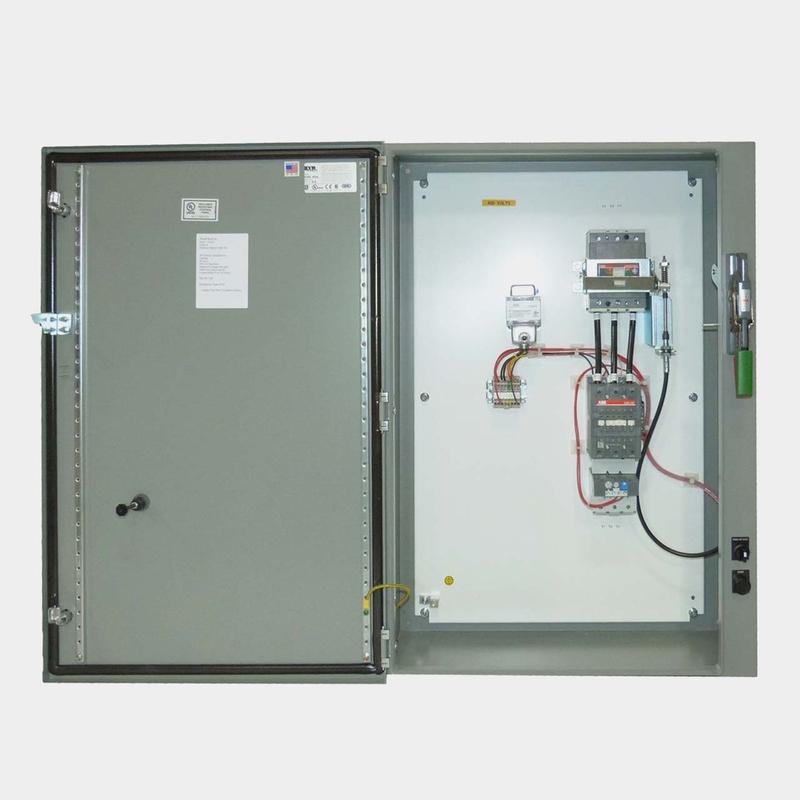 A combination starter is a motor starter that has the three following elements contained in an enclosure or some kind of protective case: A motor disconnect, a motor controller, motor branch circuit protection, and motor overload protection. They are a popular choice since they are highly modifiable and can largely reduce the number of wiring connections in your control panel. Combination starters can be used both indoors and outdoors. Have any old or unused Electrical Motor Control Panels lying around? Don’t get rid of them just yet. While we stock a wide range of quality electrical products and solutions, both new and reconditioned, we also buy back your unwanted equipment. So, before deciding what to do with your old Electrical Motor Control Panels and components, have one of our expert technicians take a look to see if we can save a few parts, save the environment, and save you some cash. Great service shouldn’t end after the purchase. We pride ourselves on the relationships we build with our customer-first mentality and the quality of our Electrical Motor Control Panels and components. That’s why we offer a 1-year replacement warranty on all of our electrical products and solutions from the top manufacturers. Because when you buy with Bay Power, you buy with confidence. We are proud to stock a variety of competitively priced, new and reconditioned components from the leading manufacturers of Electrical Motor Control Panels. Thanks to our extensive inventory of Electrical Motor Control Panels and components, our resourceful and expertly trained staff will always be able to get the products that you need. Through our extensive network of suppliers, we are able to carry and acquire a huge variety of electrical products and solutions, so chances are if you need it, we can get it. Bay Power’s priority is providing you with reliable, high quality electrical hardware. That’s why our mission is to make sure our reconditioned electrical products and solutions function as perfectly as the day they were built. Because while the quality is high, the cost of Electrical Motor Control Panels shouldn’t be. Our selection of new surplus Electrical Motor Control Panels may not arrive brand new in a box, but they function just as well, and have never had electricity run through them. All of the quality, none of the packaging, always with our 1-year replacement warranty.